Asheville has a remarkably thriving music scene. In any given week, there are multiple opportunities to take in live performances of original music in a wide variety of genres. But some styles are more fully represented than others. And to make sure that straight-ahead rockers get their share of love in this music-focused city, the Asheville Rock Collective was born. 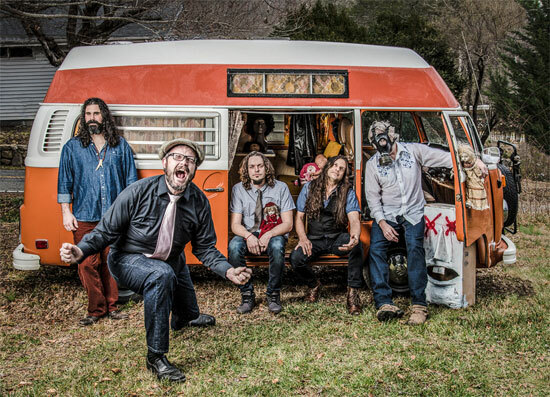 In February 2018, the collective scheduled two weekly concert series: one at Pisgah Brewing in Black Mountain, and another at Fleetwood’s in West Asheville. From the beginning, the concept of the collective was to be built around the live experience. “The live energy is definitely important,” Frye says. But while one of the collective’s first initiatives is to create a CD compilation of local rock artists, there are no plans to book time in any of Asheville’s recording studios. “A lot of these bands are practicing in their basement, recording stuff on their phone or their computers,” Frye says. “They don’t have access to recording studios.” He believes that live recording with a good system is the best way to go. “We’ll capture the two best songs from each band,” he says. In the meantime, interested parties can look up “Asheville Rock Collective” on Spotify to hear a selection of demo recordings from the local rock acts.